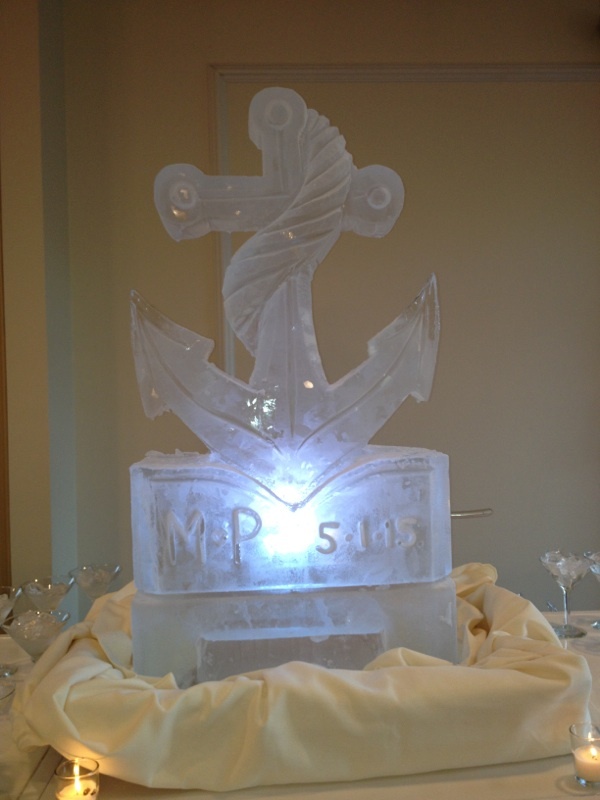 Who doesn't love a creative ice luge?! Cocktail Hour is a great time to showcase you and your new wife/husband's personality in the form of ice! Martini Ice luges can be a fun, interactive portion of your Bar during Cocktail Hour. Check out this Lucy The Elephant Ice luge from a June Wedding a few years ago. 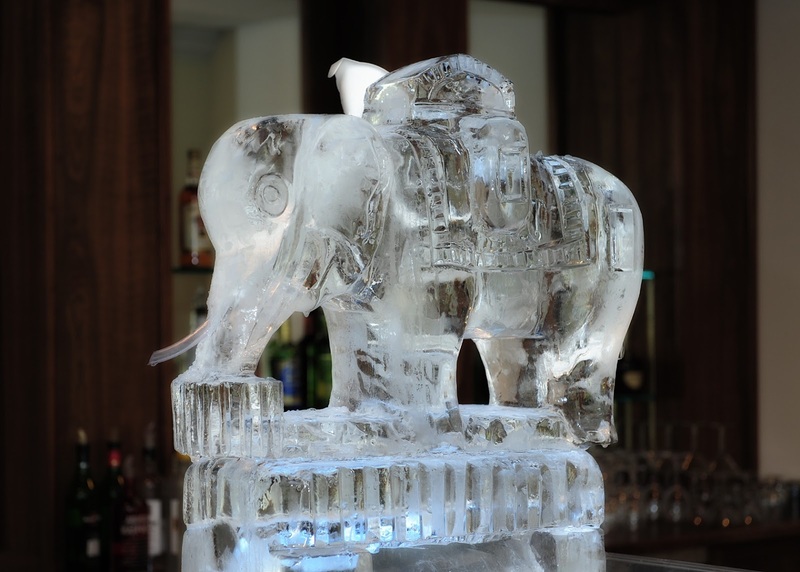 Since the couple had a soft spot for Margate, New Jersey, they incorporated the iconic elephant in their Cocktail Hour! 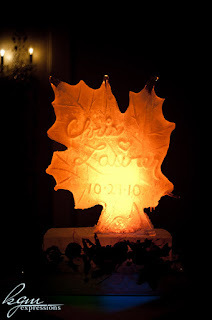 This Fall 2010 wedding had a Pumpkin Spice Martini as the signature drink, so the couple's choice for an autumn leaf design for their Ice Luge was a perfect match! And the couple decided to personalize the luge with their names and wedding date - adorable! A very popular design at the moment are Anchors. This couple personalized the base with their initials and wedding date. Ask Kristin or Carly how to add the Martini Ice Luge to your Cocktail Hour for an extra special experience for you and your guests!